We have recently had the Ottawa 12kw wood burning stove put through rigorous CE and smoke control tests here in the UK at Kiwa Gastec. We are glad to say the stove has passed with flying colours! Due to the Ottawa 12kw's new tertiary air system it is running at over 76% efficient. This will save you a lot of money over the years. 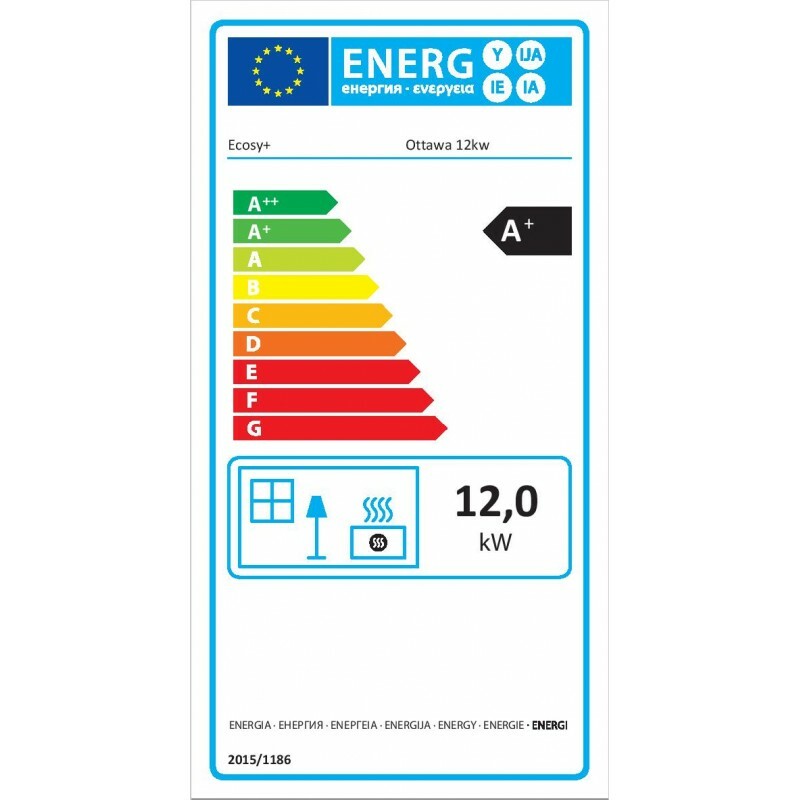 To top it off, Ottawa 12kw stove has also passed a tough DIN+ particle test that will soon be required for all stoves in the UK. 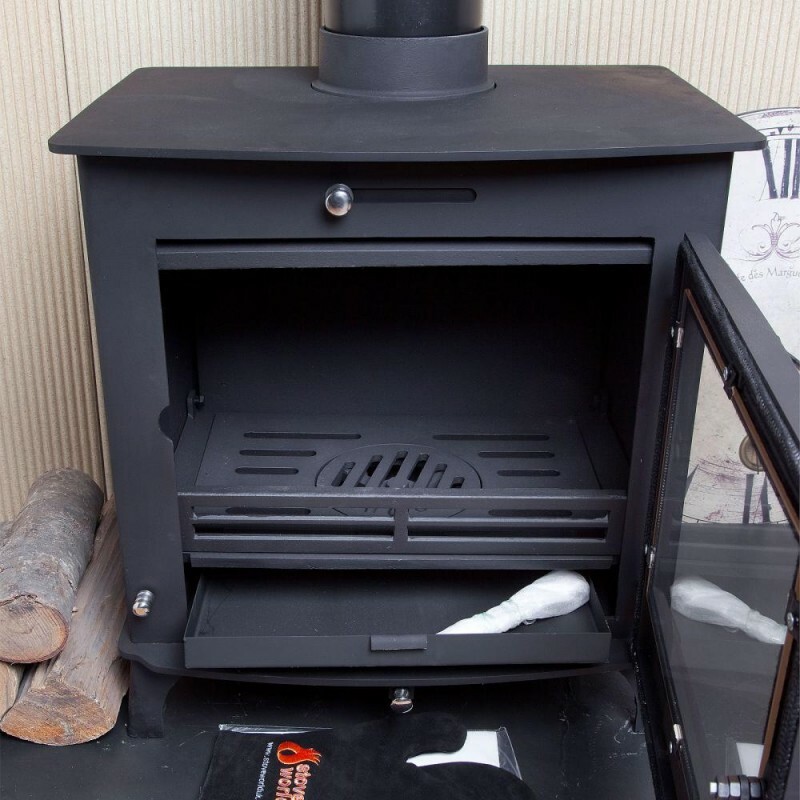 This stove is completely future-proofed and an absolute bargain at the price. 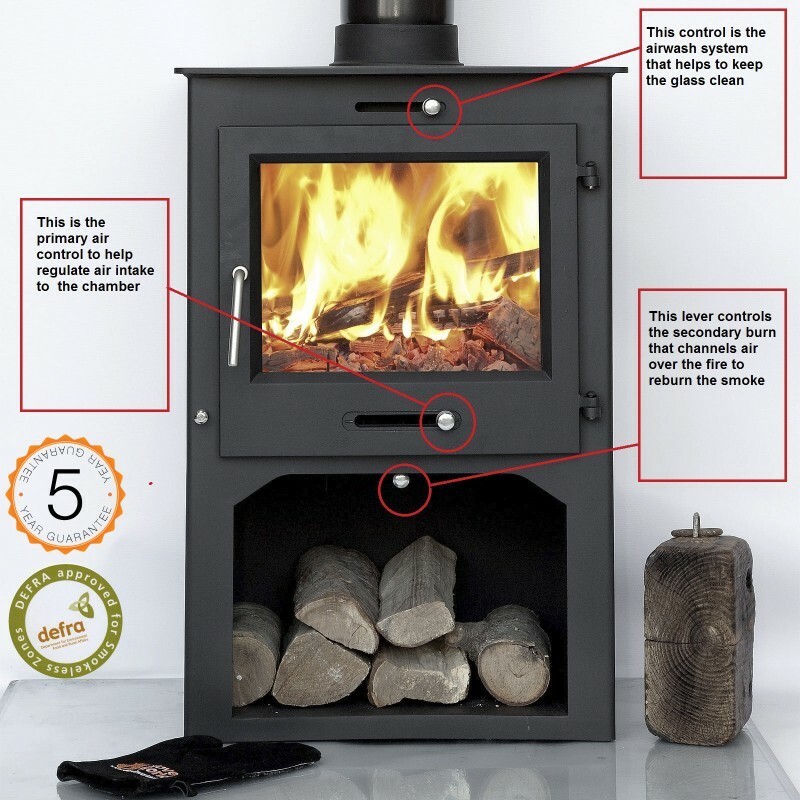 This Defra-approved version of the Ottawa 12kw has been rigorously tested and approved to burn wood and smokeless coal in a smoke controlled zone. 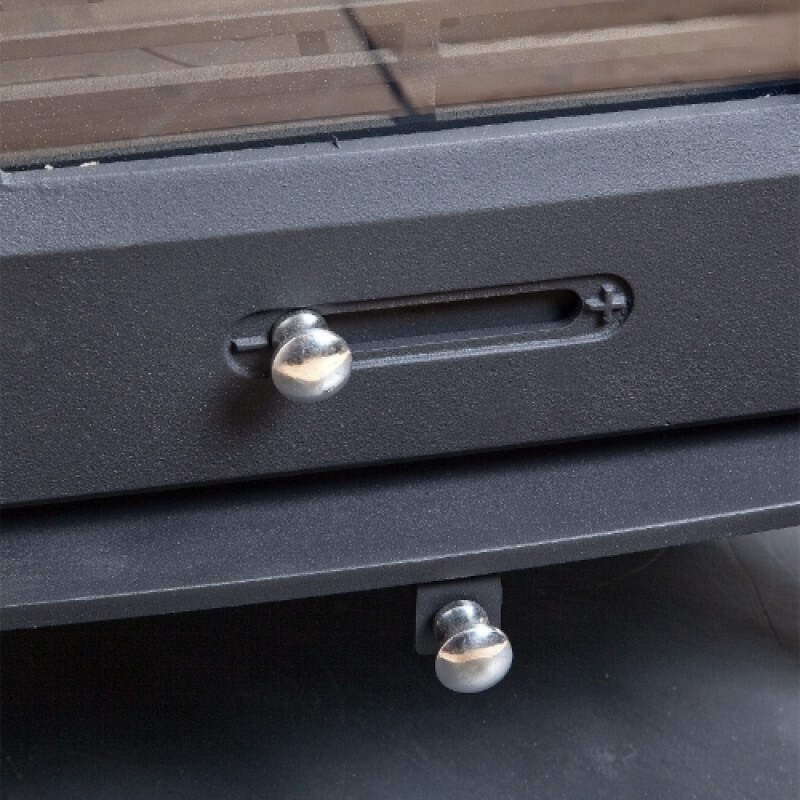 Fitted with a mechanical stop to prevent secondary air closure beyond the 31mm open position. The Ottawa 12kw stove has an advanced clean secondary burn system that is controlled by a chrome lever on the base of the stove. This lever opens and closes a vent that pulls air over the fire, re-burning the smoke. This makes the stove a lot more efficient and eco-friendly, saving you a large amount in fuel costs. This is a common question we get asked and understand why people will sometimes wonder how we can sell a 12kw Defra-approved wood burning stove so much more cheaply than other companies. We design a large amount of our products and they come direct from our factory to us. This completely cuts out any middle men. 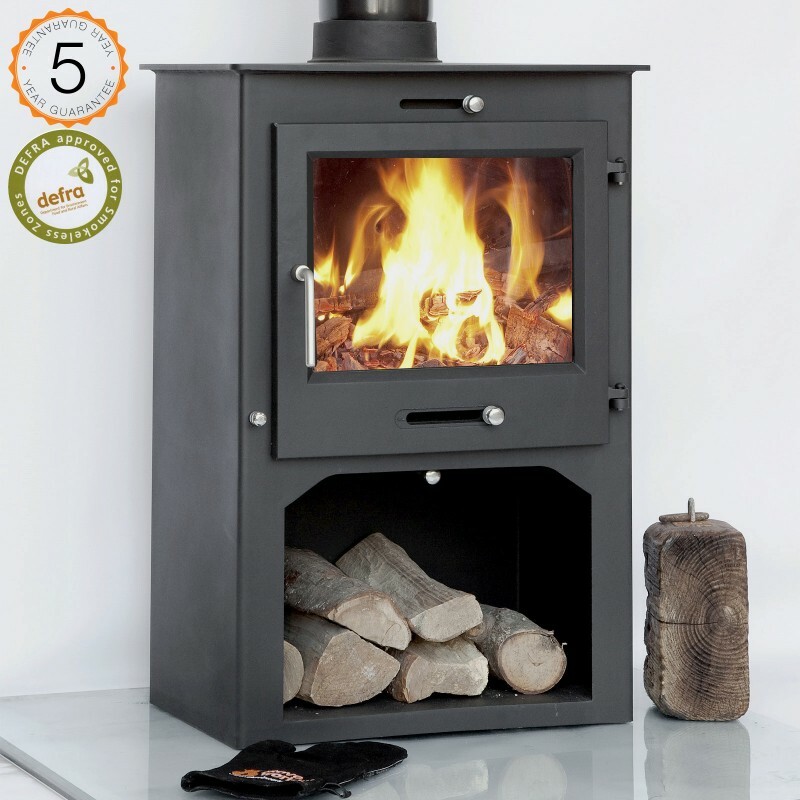 We can stock over 2,500 wood burning stoves at any one time and ship direct to the end user with no showrooms. We always suggest prospective buyers take a look at our glowing feedback that currently has over 7,000 positive comments on our stoves and stove products. This video of the Ottawa 12kw was sent to us by Firefly Stoves in Worcester following a successful installation for one of their customers. Please note that this is the price for delivery of DEFRA APPROVED 12kw Ottawa + Clean Burn WITH STAND Contemporary Woodburning Stoves Multi Fuel 5 YEAR GUARANTEE only. The final amount might change depending on the contents of your shopping bag when you check out.